Born in Brazil in 1970, she started competing for Brazil, but has been riding for Portugal for a long while. She is a real star amongst showjumpers. She has competed in five World Cup Finals, four Olympics, two World- and six European Championships. Three weeks before Longines FEI Nations Cup™ Jumping of Hungary CSIO5* Budapest she finished second in the Grand Prix of CHIO Aachen, the most prestigious competition of the world, riding the chestnut Fit For Fun, thus repeating her accomplishment of 2017. In May she claimed victory of Grand Prix CSIO 5* St Gallen in Switzerland. Three years ago she won the Global Champions Tour Finals. She also finished second in Grand Prix of Calgary. Luciana Diniz has Hungarian origins, her grandmother is Hungarian. 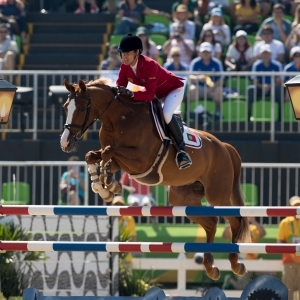 The 32 years’ old Italian rider is one of the most successful showjumpers of the world. Hardly exists a five star event where he hasn’t already won a class. His ride is exceptionally fast. One of his biggest successes is the Nations Cup gold in Rome, as a member of the Italian team. In 2016 he won the Global Champions Tour in Monaco with his horse called Caspar, and in 2015 he claimed first place of Grand Prix London in the Olympic Hall with Admara. He has ridden in one Olympics, one World- and five European Championships. 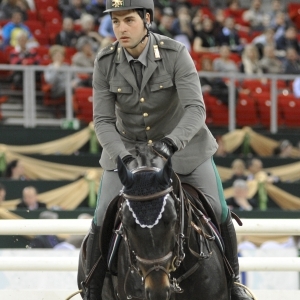 Also participated in the Nations Cup of CHIO Aachen this year, he was member of the Italian team. The owner of his horses is a Hungarian company, Equita Ltd. The 38 years’ old rider is a student of Nelson and Rodrigo Pessoa; he currently lives in Belgium, but his carrier led him throughout the world. 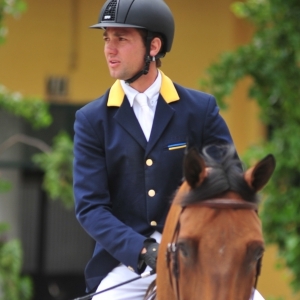 Riding for his native country, he finished tenth in the World Championships of Aachen in 2006, and then later he competed for Ukraine until 2017. He has ridden in two Olympics, three World- and two European Championships. In 2014 he finished eight at the individual World Championship held in France. He is several times gold medallist of Nations Cups; he has ridden in almost every Grand Prix around the world. This is not the first time he comes to Hungary; we had a chance to see him competing in Papp László Budapest Arena. This time he will be riding for Brazil. He was member of the Ukrainian team together with the two times Hungarian Champion, Ferenc Szentirmai at the World Championship and Rio Olympics in 2016.